"All freights lighten,said the skipper ,as he shoot his wife into the sea"
I need to say a son.Be careful out of woman.These words are not talking about the worman of the woman.But He´s is a little girls and weakthat they nature -The struggle is a side of side can make it be bothered. Especially the boys a day that made a head man who saw a man.A woman like a woman It can be broken. My boys and calm woman More than men Liberal woman Yes!But you will find a sheep for the seven pots of rice. Whatever it is,People who are not intelligent woman .It´s more in the world.A funny one and daddywill tell. The defaut message has been translated. The book name is" a paper for the "Khit Nay". 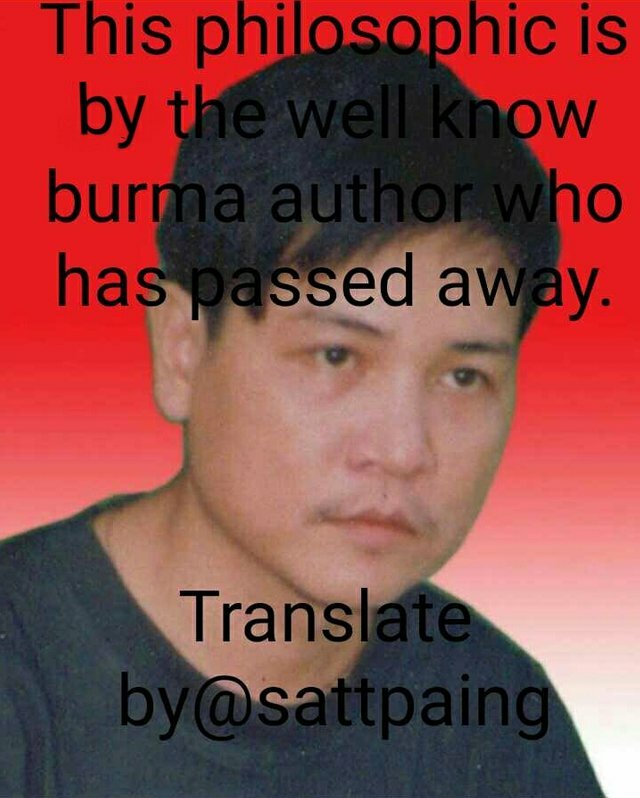 English to Myanamr live translation. You got a 5.88% upvote from @dailyupvotes courtesy of @sattpaing!